It looks set to be a good year for films with one foot placed firmly in reality, with two biopics leading the way in the Oscars Best Actor betting. Relative newcomer, Jesse Eisenberg – whose previous biggest film was 2009’s Zombieland – is second favourite in the Best Actor betting for his portrayal of Facebook founder Mark Zuckerberg in The Social Network. If Eisenberg was to upset the Oscars betting odds and come away with the statue, he would be the youngest ever winner of the Best Actor gong at 27-years-old, comfortably beating Adrien Brody who was 29 in 2002 when he won for his role in The Pianist. 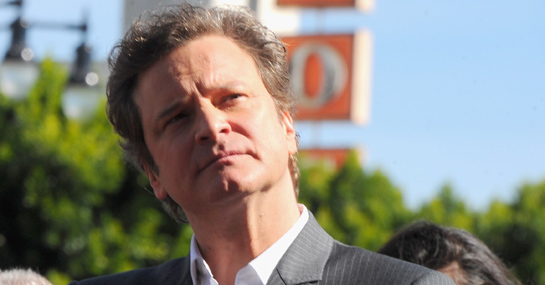 However, overwhelming favourite in the Oscars Best Actor betting is Colin Firth at 1/4. Firth’s portrayal of King George VI in The King’s Speech has already won him a host of awards – including the British Independent Film Award for Best Actor – to go with the rave reviews the film has received. Firth was nominated for the award last year for his role in Tom Ford’s A Single Man, but lost out to Jeff Bridges. Based on the Ladbrokes Best Actor odds though, it looks as though this could be his year. Other early favourites include James Franco, who looks set to be nominated for his leading role in Danny Boyle’s 127 Hours. Last year’s winner, Jeff Bridges, can be backed at 20/1 to win the Best Actor award for his performance in True Grit, while veteran Robert Duvall also looks set to get the nod – you can bet on him at 16/1. A £25 bet on Johnny Depp to win the Best Actor award could see a return of £525. New Ladbrokes customers can sign up here for a free £25 bet.